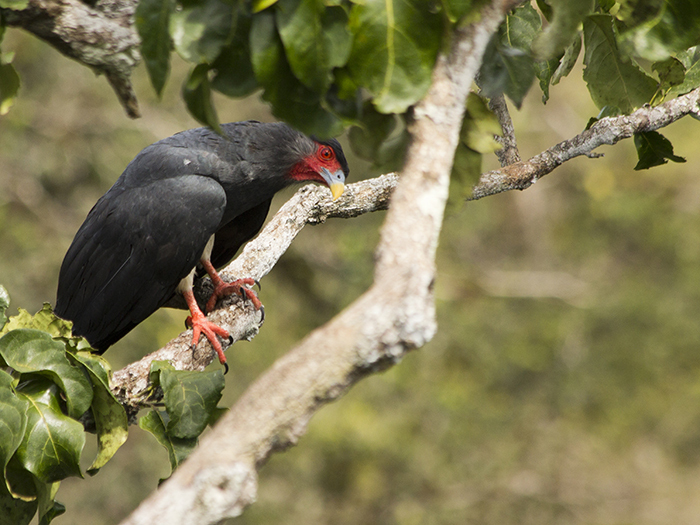 Red-throated Caracaras are specialist predators of the brood of social paper wasps, as our previous research confirmed. The big question we wanted to answer was: how do they manage to attack and subdue the workers of these well-defended wasp nests? 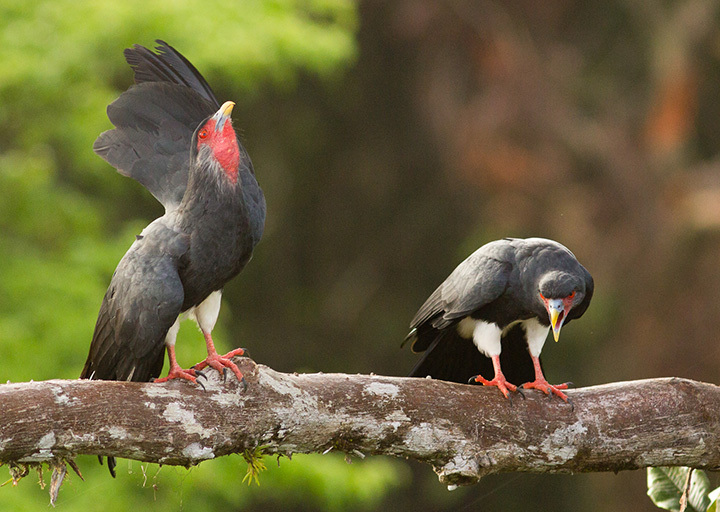 A previous study by Jean-Marc Thiollay suggested that Red-throated Caracaras may possess a chemical repellent that keeps the wasps from approaching and attacking them, but this hypothesis was never tested. 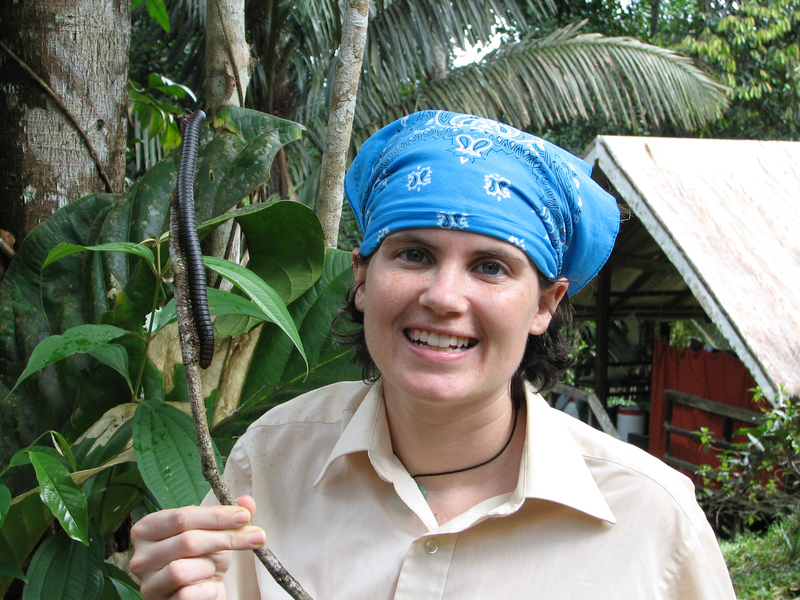 We sought to shed more light on this by sampling chemicals from the birds and by observing the predation behavior firsthand. 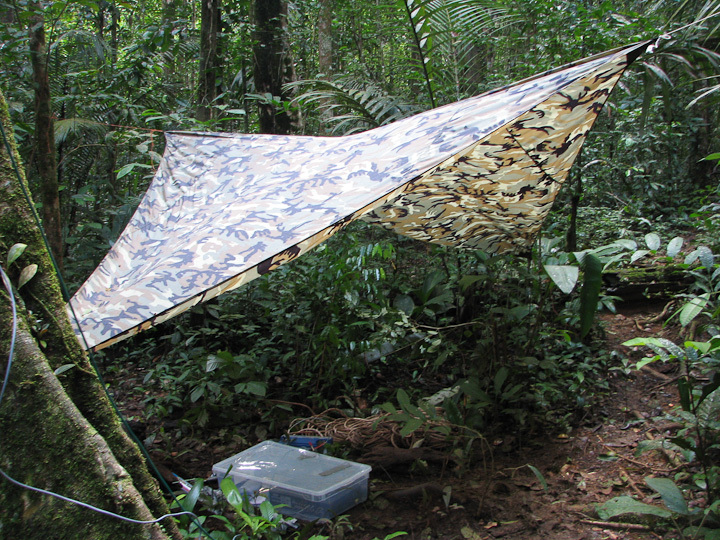 To do this, we set up a “feeding station” to record the caracaras attacking wasps. 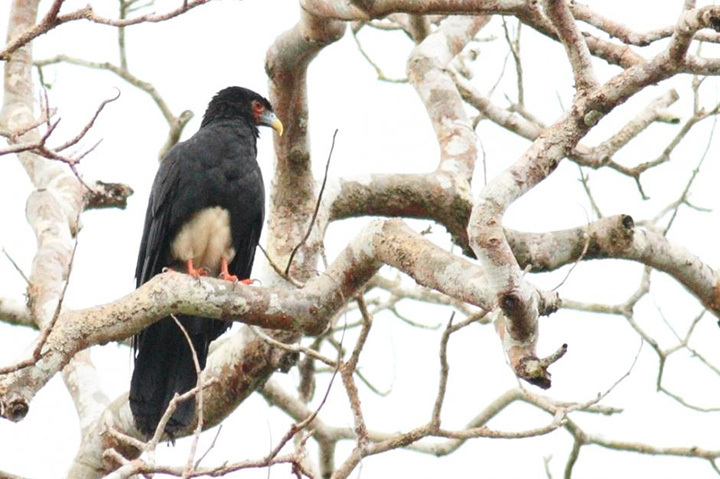 We lured the caracaras near to the video arena by playing recordings of their vocalizations from an amplifier near the site. 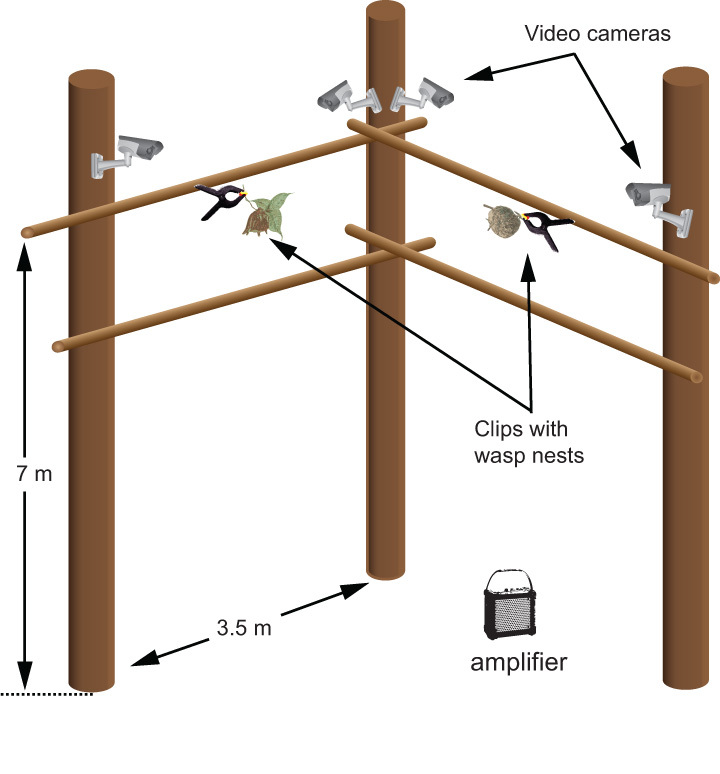 The birds would come to investigate the source of the calls, and once they saw the wasp nests we had set out there, the caracaras went in for the kill, and we captured the behaviour on video. This is the video arena we set up in the forest behind the camp. 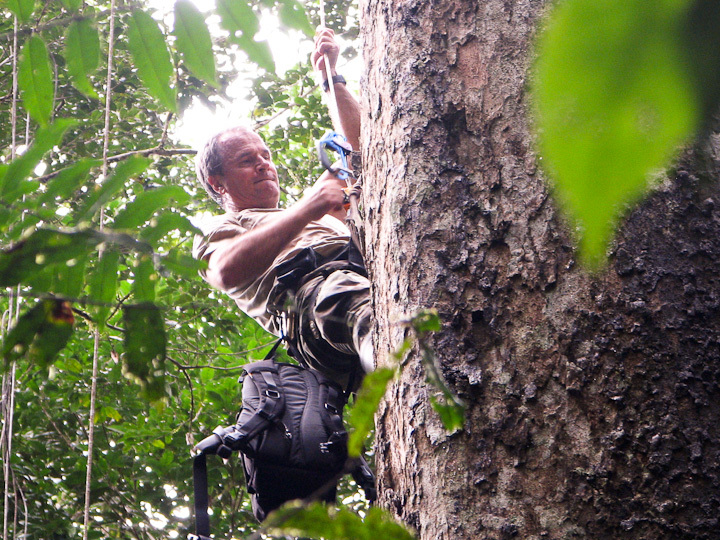 Maintaining the condition of the “waterproof” video cables and connectors was very difficult in the rainy season! 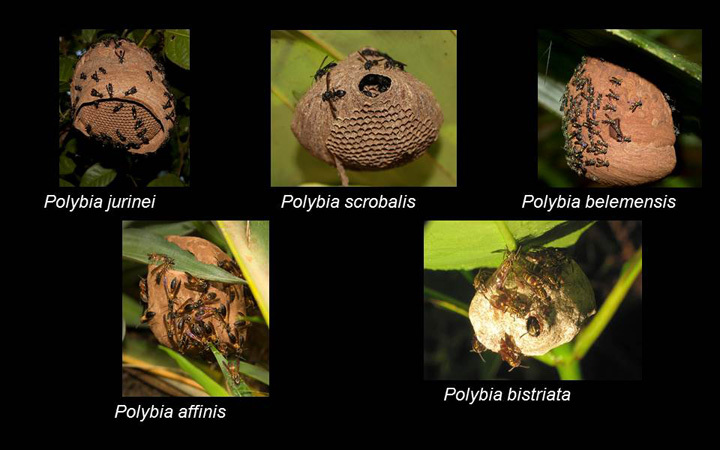 These are the five species of paper wasps we managed to get the caracaras to attack. 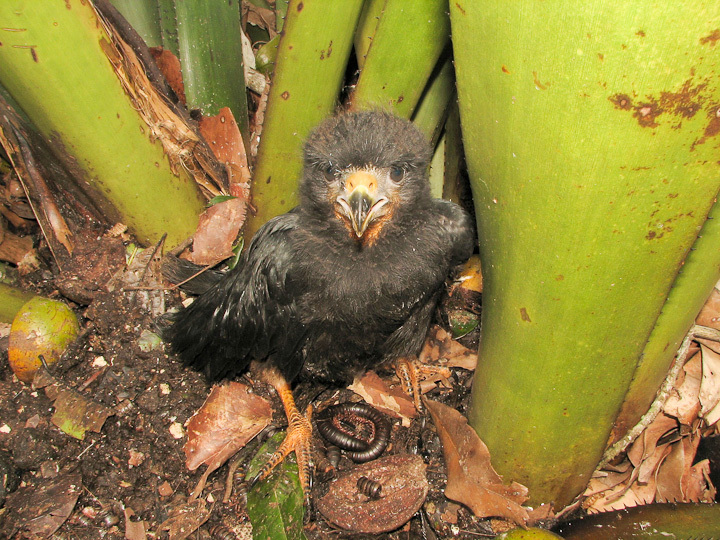 The caracaras knocked two of these nests to the ground, and later flew down to retrieve them. 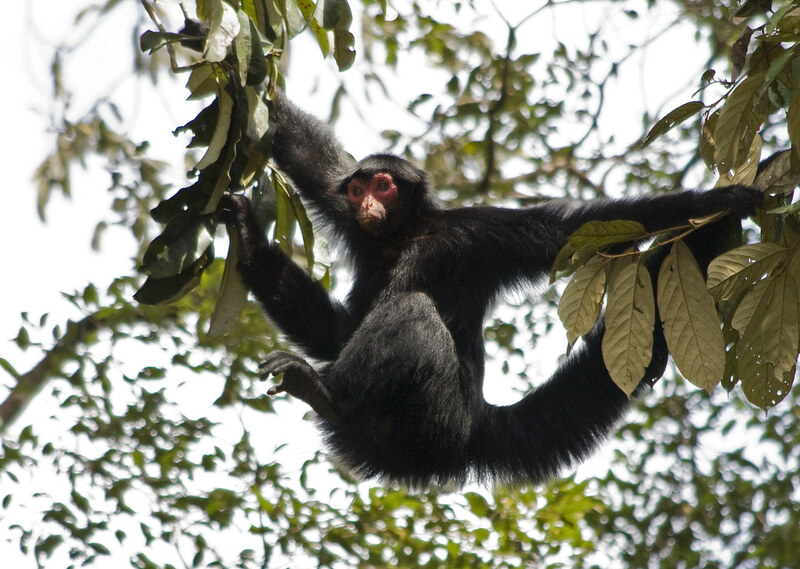 In another attack on a nest of Polybia jurinei, the caracaras repeatedly slammed into the nest, and eventually the wasps abandoned their defense. 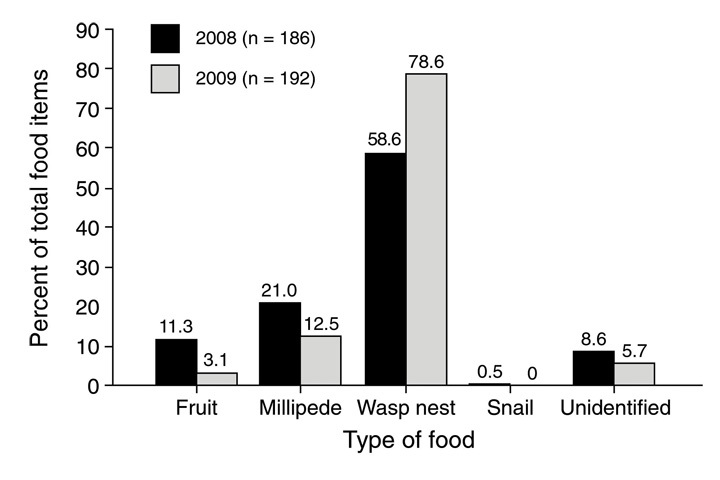 These situations where the wasps abandon their nest represent a behaviour known as absconding. The swarm-founding wasps, with sufficient nest disturbance, can fly off en masse to quickly found a new nest elsewhere. 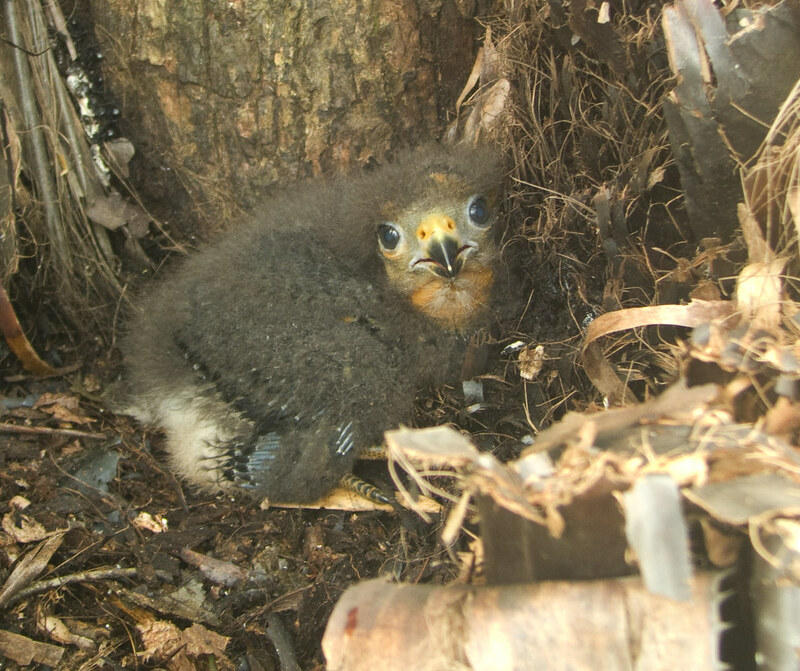 They lose that batch of brood, but save the workers from an ultimately futile defense of the nest. 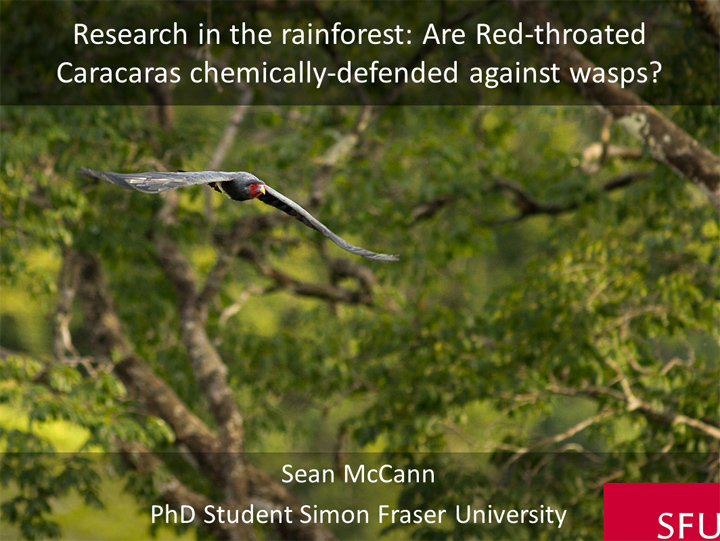 The video data do tell us that the type of chemical defense envisioned by Thiollay does not seem to be how the caracaras avoid wasp stings, but we did look for potential chemical repellents anyway. Sampling from a caracara face using solvent-soaked cotton swabs. We also sampled the feathers and feet, using both methanol and hexane. 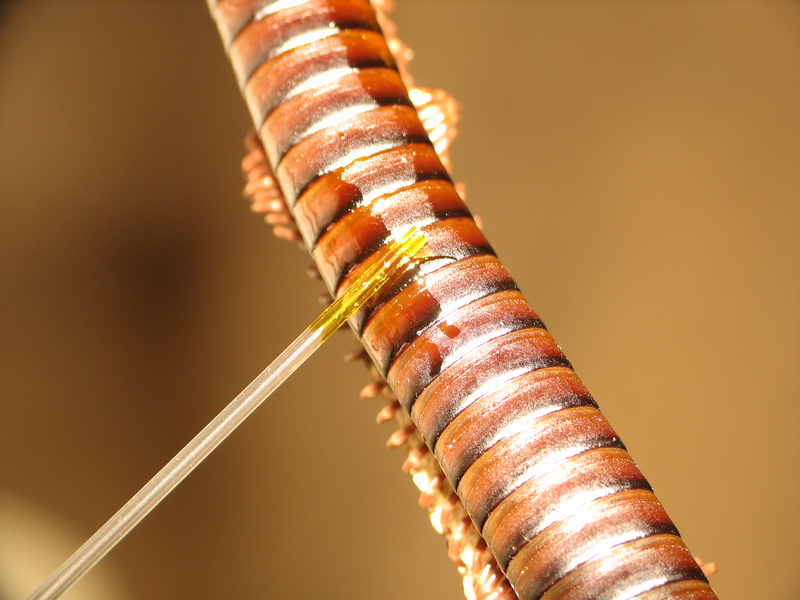 As you can see from this example GC/EAD recording, Polybia bistriata antennae respond to several components of the caracara foot extract (the top trace shows the chemicals, the bottom shows the antenna’s response). Compound A is sulcatone, while the compounds labelled B are iridodial isomers, and compound C is a boring old fatty acid (which is found on most animals). 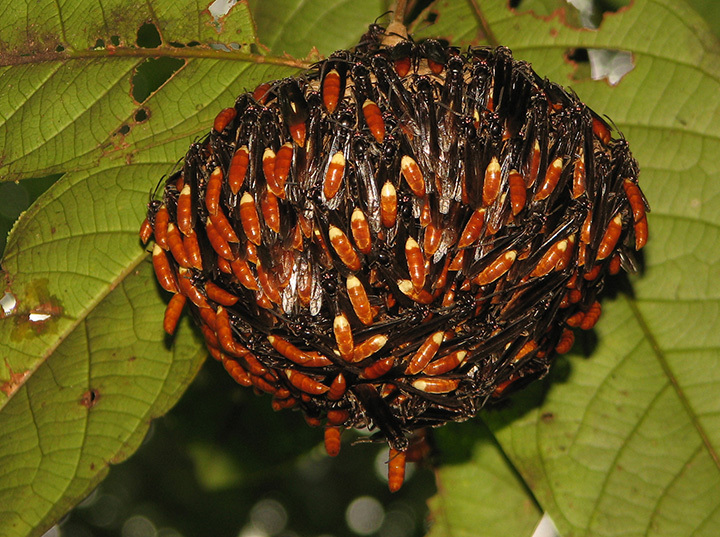 Iridodial and sulcatone are repellent compounds, but best known from dolichoderine ants, such as Azteca. 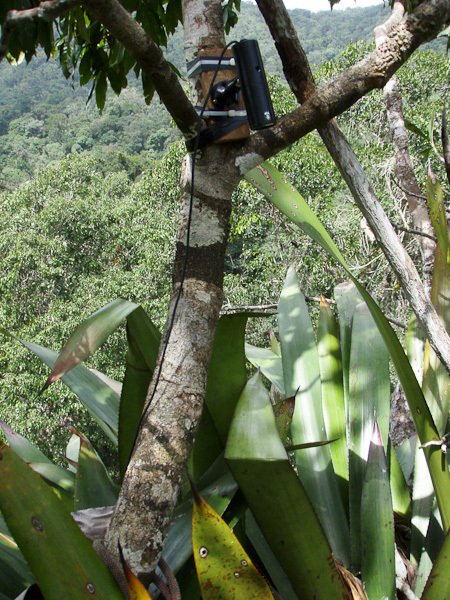 We suspected that the caracaras may have picked up these compounds from Azteca ants. To follow up, we sampled Azteca chartifex near the field station at Saut Pararé and compared their pygidial gland secretions with the caracara foot extracts using GC/MS. 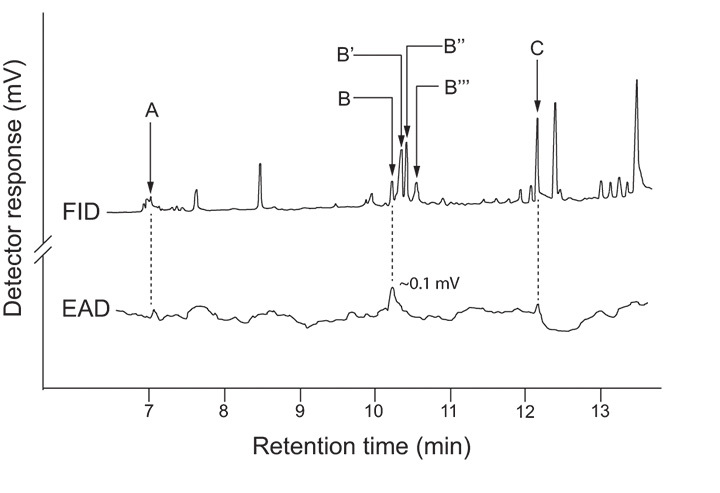 At the top is the GC/MS trace of the Azteca sample, at the bottom is the trace from the caracara feet. 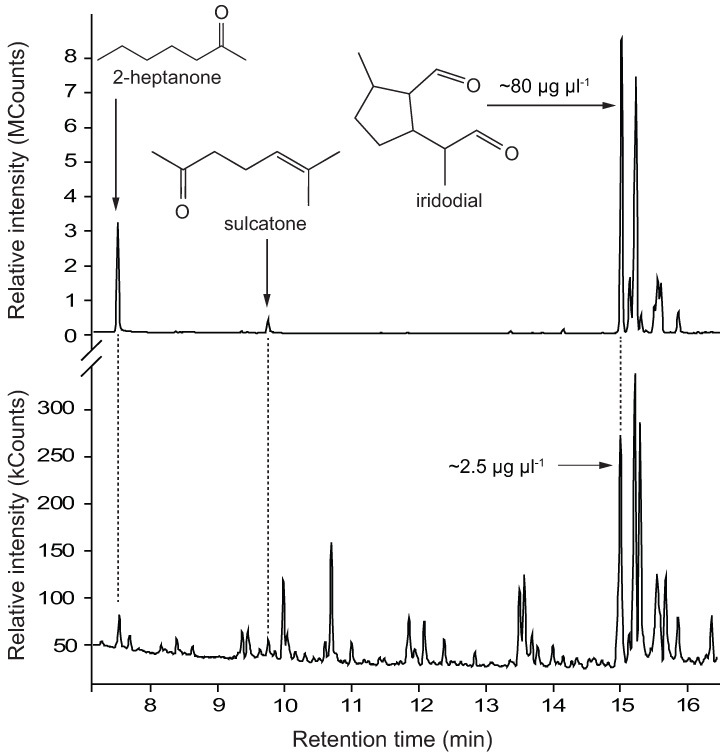 Notice the shared ketones and the iridodial isomers. 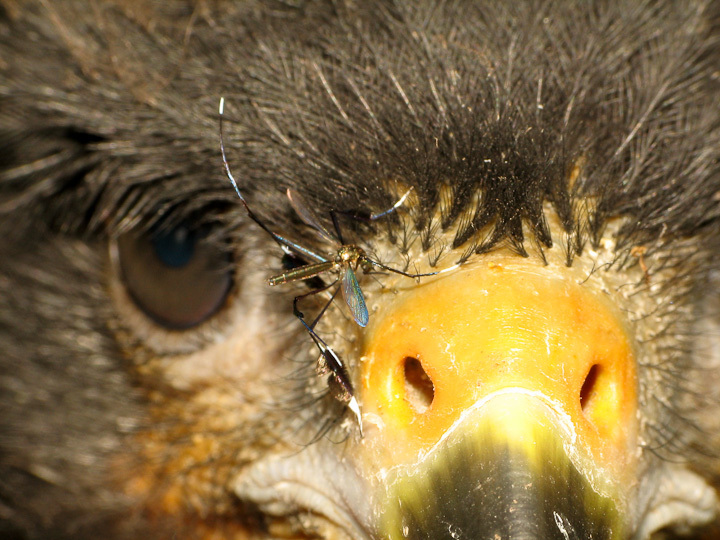 We found these ant-type compounds only on the feet, suggesting that the caracaras are attacked by Azteca while perching. 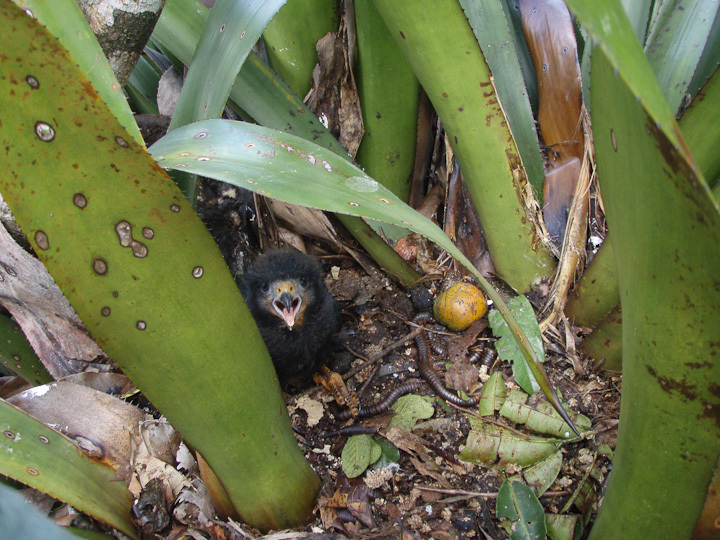 And this is why we suspect caracaras come into contact with Azteca! 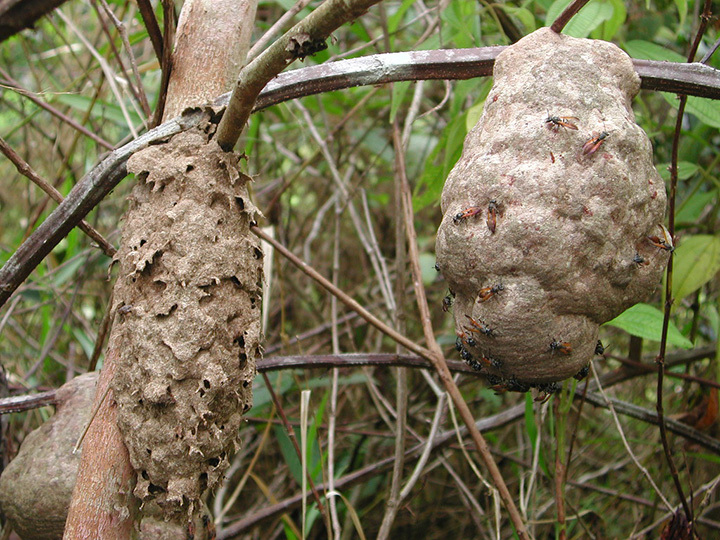 Polybia rejecta nests in close association with Azteca, which protect the wasp nests from army ants. It could well be that the caracaras are attacked by Azteca while preying on these wasps. 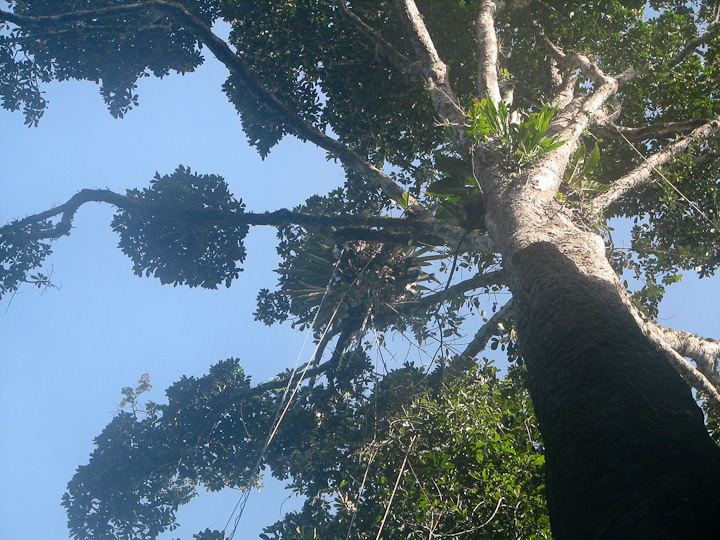 It is also possible that the caracaras are just incidentally attacked while perching on Azteca-infested trees. Photo provided by Pablo Servigne. 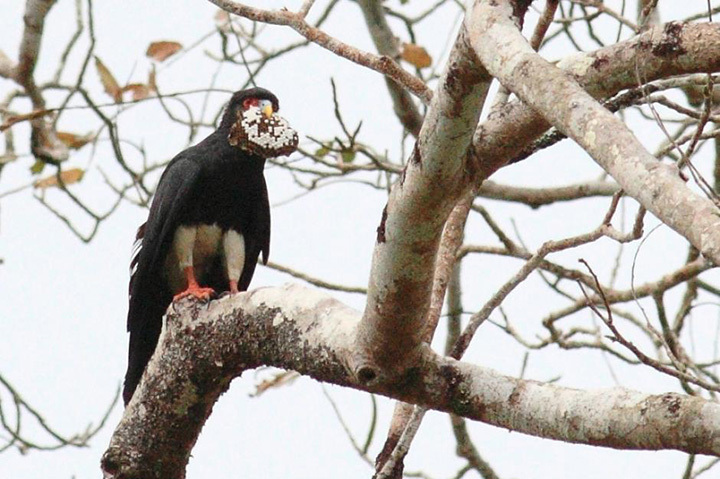 In summary, the caracaras do not have much difficulty with smaller species such as P. bistriata; just tearing into the nest is sufficient to cause these wasps to abscond. 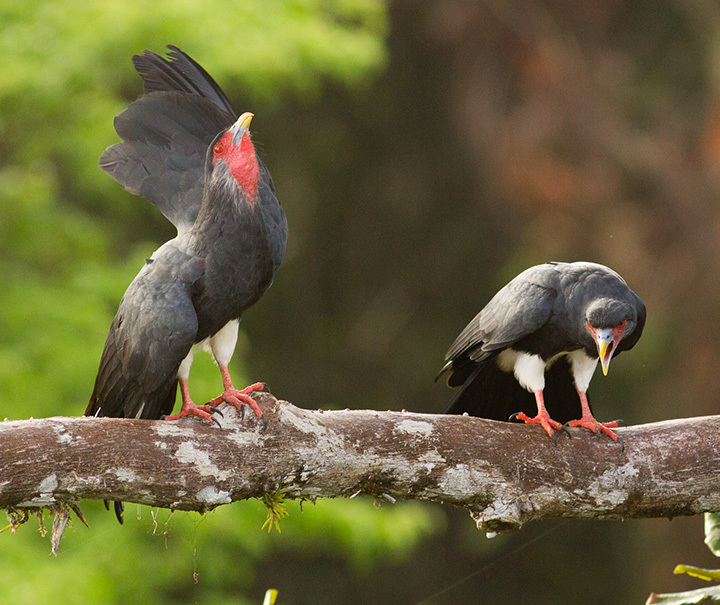 With larger species, the caracaras have to use more persuasive tactics, such as knocking the nest to the ground or striking it repeatedly. 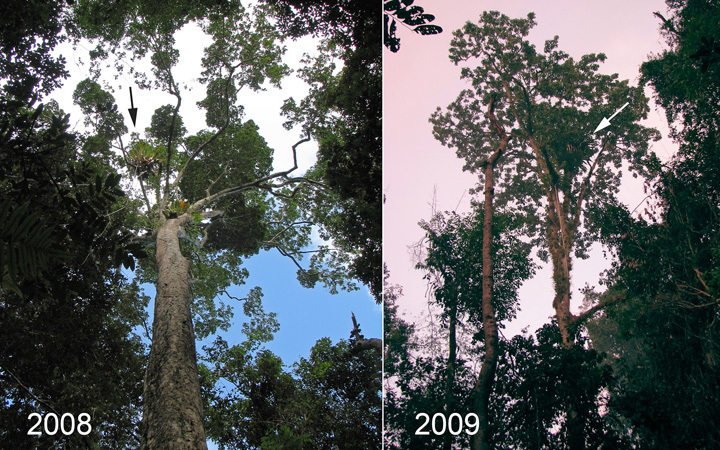 While it does not seem the caracaras have chemical repellents, the discovery of the ant-derived defensive chemicals highlights the surprisingly intricate connections between organisms in the rainforest.